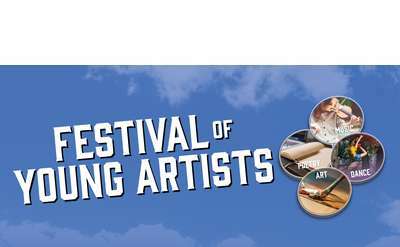 Regarded as one of America’s most prestigious and longest running summer festivals, Saratoga Performing Arts Center’s classical and contemporary programming is enjoyed by approximately 400,000 people each season. Nestled in the heart of the stunning 2,400-acre Saratoga Spa State Park and surrounded by towering pines, hiking trails and mineral springs, SPAC’s breathtaking setting greatly enriches the audience experience. Diverse artistry thrives at SPAC, in a summer season that encompasses more than 80 unique performances across all genres. Their programming includes annual residencies by New York City Ballet, The Philadelphia Orchestra and the Chamber Music Society of Lincoln Center, as well as the legendary Freihofer’s Saratoga Jazz Festival. Two dynamic series returning this year include SPAC on Stage and Caffè Lena @ SPAC. A popular concert lineup presented by Live Nation and world-class opera productions by Opera Saratoga round out the summer cultural offerings. With a wide array of programs to choose from, there are enticing options for guests of every age and artistic taste. Experienced in combination with SPAC’s beautiful natural setting and its many amenities, a visit to SPAC is more than a performance; it’s an opportunity to make memories that last a lifetime. Contact the SPAC Box Office at 518-584-9330 for tickets! The Saratoga County Region is home to a flourishing arts scene. To celebrate, we've highlighted 11 of our favorite arts, theatre, and music venues that can't be missed. In recent years, Saratoga Performing Arts Center (SPAC) has been dedicated to expanding their education and outreach programs. For 2019, the Center will offer even more programs to make the arts accessible in Saratoga. On March 10, 2019, New York City Ballet will host auditions for Saratoga area kids and teens who are interested in performing with the ballet company during their summer season at SPAC. 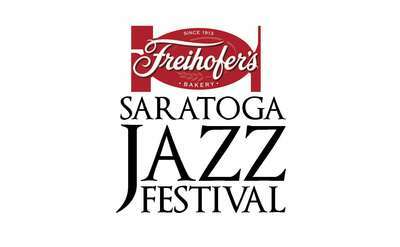 Whether you’re a long-time jazz lover or enjoy hearing great music, you should attend the 42nd Annual Freihofer’s Saratoga Jazz Festival at Saratoga Performing Arts Center (SPAC) on June 29 & 30, 2019. Iconic masterpieces and new works come together during SPAC's 2019 classical lineup. Each summer, this premier cultural destination hosts an unforgettable season of classical performances from The Philadelphia Orchestra, The Chamber Music Society of Lincoln Center and the New York City Ballet. Prepare for a magical summer season at the Saratoga Performing Arts Center (SPAC). Thinking about popping the big question? Find out some great spots to propose right here in Saratoga Springs and the Capital Region!